Paul W. Pruyser, a clinical psychologist at the Menninger Clinic in Topeka, Kansas. 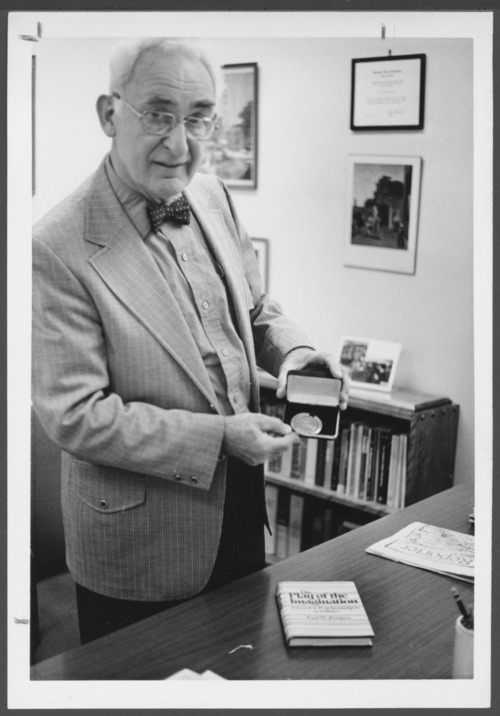 This photograph shows Dr. Pruyser holding the Ernst Kris Award for his book "The Play of the Imagination." He wrote many books and articles on the psychological theories of religion.